. . . Though Clinton has cruised so far without having to actually answer to the voters, she’s shown signs of weakness. A new Quinnipiac poll showed a stunning 53 percent of voters don’t trust her and more than half of independent voters don’t like her. That’s got to make Democrats nervous. Get to know Iowans — from Davenport to Sioux City and every hog farm in between. The Iowa caucuses are the only place for O’Malley to become a serious contender. The liberal Democratic caucus-goers would be right at home in Cambridge. Without a surprising showing in the Hawkeye State, O’Malley won’t have a chance in New Hampshire and beyond. Demand that Clinton agree to a series of debates, especially a one-on-one showdown. The media loves debate stories and will pester Clinton until she’s shamed into doing them. The first two paragraphs of the above excerpt, along with the last one, strike me as being the most important bits of Battenfeld’s observations. At the end of the day, I think that Clinton will have too much strength and too much money to be denied the Democratic presidential nomination. 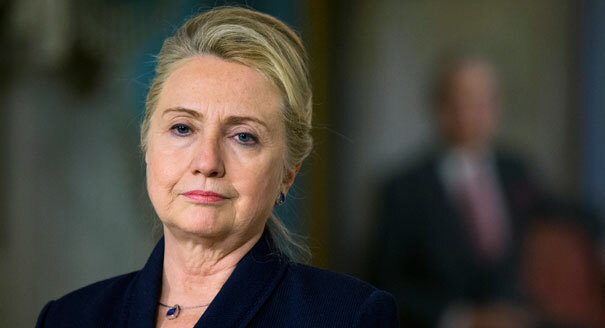 But again, she is a very weak candidate, and a well-run insurgency campaign can expose and reinforce Clinton’s weaknesses–to the benefit of the eventual Republican presidential nominee.